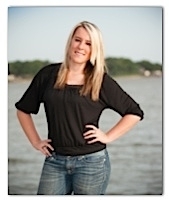 Allison, known to her friends as Ally, has lived at Cedar Creek Lake for over 13 years. She moved to Cedar Creek Lake from California to be closer to her family, and she couldn’t be happier. She lives in Gun Barrel City with her two red healer puppies: Trigger and Sister. In 2012, Ally graduated from Mabank High School. While attending Mabank High School she was on the Varsity Cheer team, where she volunteered and coached cheer teams. Currently, she attends a local college in Athens, TX where she is working to receive an associate degree in Business Management. Ally is passionate about Real Estate. It’s not unusual to see her weaving that interest in her daily activities, even when she is not working with her clients.